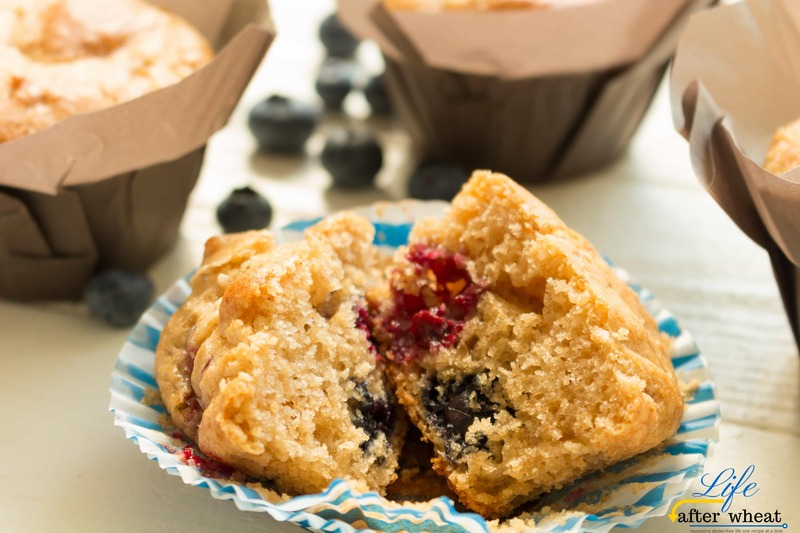 Muffins are perfect for breakfasts, lunch boxes, travelling, and everything in between! 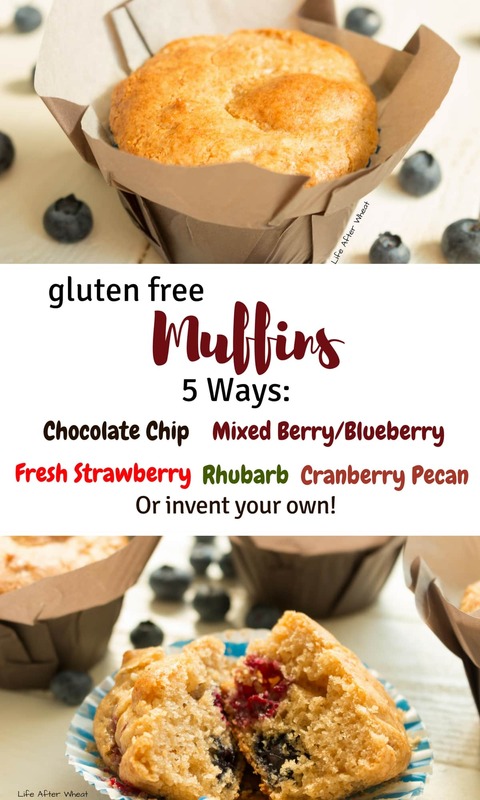 This simple gluten free muffin recipe is easy to make and so easy to customize with whatever add-ins your family loves. Recipe includes variations for Chocolate Chip, Mixed Berry, Cranberry Pecan, Fresh Strawberry, and Rhubarb Streusel. Our family LOVES muffins. We eat them all the time for…well…breakfast. We’ve also made a habit out of baking a batch or two to take on vacations, adding one or two to lunch boxes, or serving as an after school snack. One thing I love about this recipe is you can get so creative with it. Below you’ll find 5 of our favorite add-ins, but feel free to play around with it and find some fun new flavors! 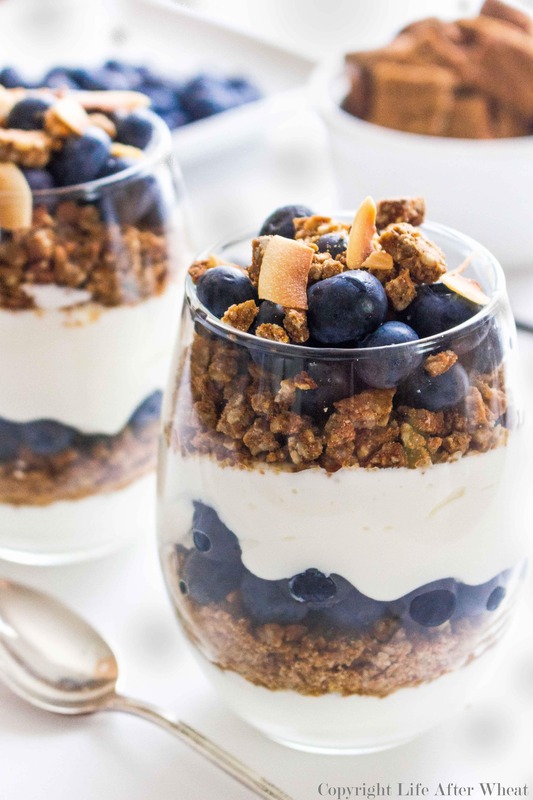 You can also try substituting flavored yogurt instead of plain for a different taste. I like to think this is a fool-proof recipe. 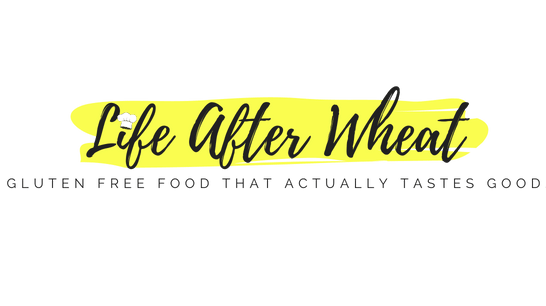 I’ve made it with several different commercial flour mixes and also with my own, which happens to be my personal fav for muffins and quick breads. Any way you choose to make them, they are light, fluffy, moist and not grainy at all. I have found the best way to store these muffins after they’ve cooled is to put them in a container, with the lid on top but not sealed, for the first day. If you still have some after that, you can go ahead and close the lid tightly. 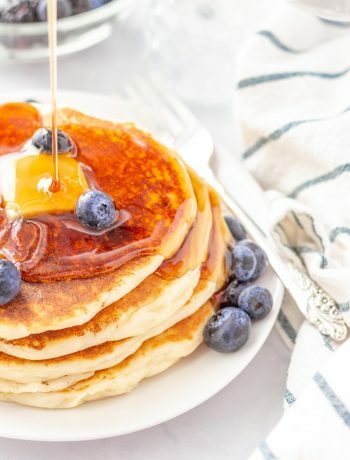 I hope you enjoy this recipe as much as our family does! Please come back and comment to let us know which flavors you’ve tried. 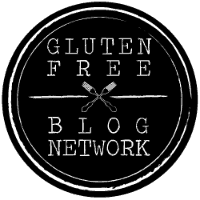 Happy gluten free baking! Line 12 muffin cups with liners or grease well. Lining the tins works best. Whisk egg in medium bowl. Add yogurt, sour cream, oil, sugars, and vanilla and whisk until thoroughly combined. Add in flour mix, xanthan gum if needed, baking powder, baking soda, salt, and cinnamon and stir with a fork until all ingredients are incorporated. Your batter should be soft and scoop-able, not pour-able. Preheat oven to 375° and let batter sit while oven is preheating. This eliminates any gritty texture. Divide batter between muffin cups. The muffin cups will appear full, but that's ok. They will puff up but the batter is thick enough they won't run over the edge and overflow. Bake for 9-12 minutes, until toothpick inserted in center muffin comes out clean. Watch carefully and remove as soon as they are done so they don't dry out. Use any flour mix you like. Ones that have worked for me include Grandpa's Kitchen, Cup4Cup, Mama's almond flour blend, Bob's Red Mill 1:1 (not the kind with bean flour) and my personal recipe. I also winged it the last time and threw in 1/4 cup almond flour, 1/4 cup sorghum flour, 1/4 cup brown rice, 1/4 cup white rice, 1/2 cup potato starch, and 1 T whole teff for a little extra protein. This blend tastes great with the cranberry pecan variation! You can use all yogurt or all sour cream if you like, I personally prefer the flavor of both together. 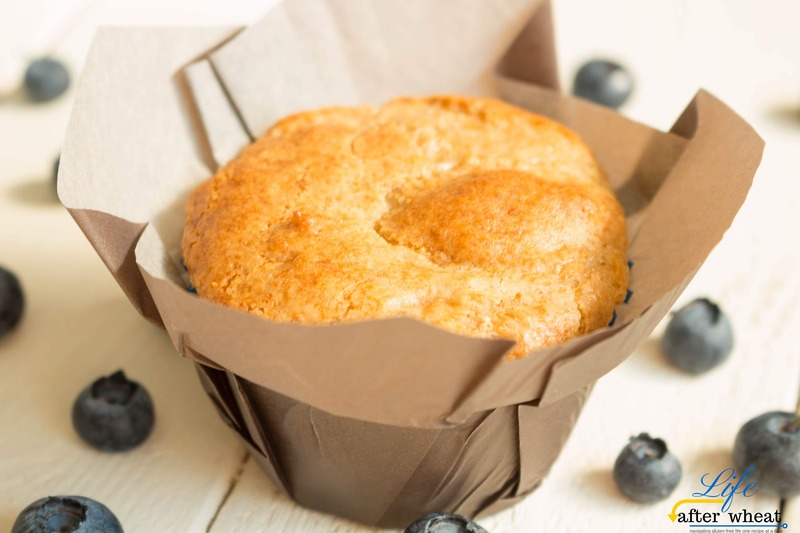 Everyone should have a great muffin base recipe in their arsenal and yours looks delicious!! Agreed! Thanks so much Keeley! I’m a muffin gal too Rebecca, enjoy! These are beautiful! Love all of the options. Now that school is about to start for my oldest, I’ll be getting back into the swing of making muffins again. Thanks so much Emily! We definitely make more muffins during the school year ? 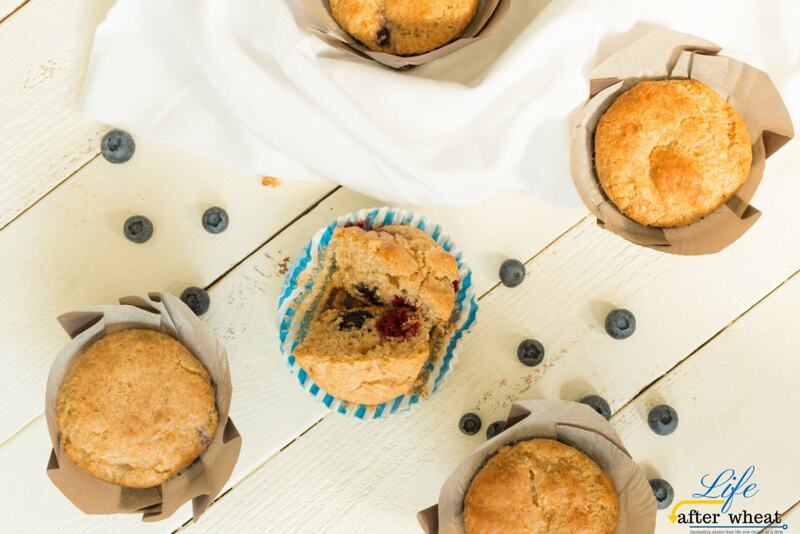 The secret to perfect muffins and cakes Raia? RHUBARB!!! yaaaaaaaas! Nice little touch to make it unique! Thanks so much Erica! ? Do you think you could add other things like bananas or zucchini? These look fantastic! I just love a good muffin!